Once upon a time, there were two authors. Both authors had written amazing books and early review buzz was building up. Both were actively engaged in blogging, commenting on other blogs, and interacting with readers on social media. Over time, however, one author appeared to be reacting faster to reader feedback, generating more consistently interesting content, and getting more and more people talking about her and her work. Ultimately, this author ended up building a network of more core fans and this trend continued with each successive book she published. The other author spent a lot of time trying out different ways to engage readers but never seemed to have his pulse on what was happening in real-time. He struggled to build a network of core fans and it took him longer to achieve his publishing goals. The difference between the two authors? You guessed it. One used url shortening (short links) and the other did not. But what the heck is a short link? 3)They can be transformed into social media services – URL shorteners, in their own way, work as aggregates of information. This can lead to some useful mash-ups and innovations in how people share and digest content. 4) They can provide users useful features – URL shorteners can improve the browsing experience. 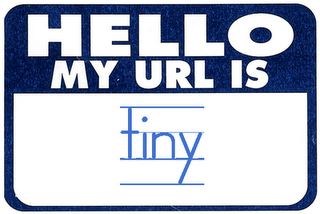 Where do I find these url shortening services and how much do they cost? I personally use bitly and love it. Once I create a blog, pinterest pin, video, or any other type of content, I immediately go to bitly and create a short link. Then I attach that link to all my posts across the web (twitter, facebook, linkedin, youtube, goodreads, amazon, etc). And every few days I check the bitly site to see the level of engagement with my content. I make note of the content getting clicked, gather data on from where the clickers clicked and adjust my content generation strategy accordingly. And all of this data and service is amazingly, free! The point here is that feedback can be garnered in a lot of ways online. It behooves us as authors to go beyond the book review and see the other ways readers are letting us know they like what we are doing. Pay attention to and track your likes, shares, comments, and yes clicks on your short links. Now that you understand the various ways to increase and measure feedback, let’s move on to getting fans!